Migratory birds are a great illustration of global interconnectedness. 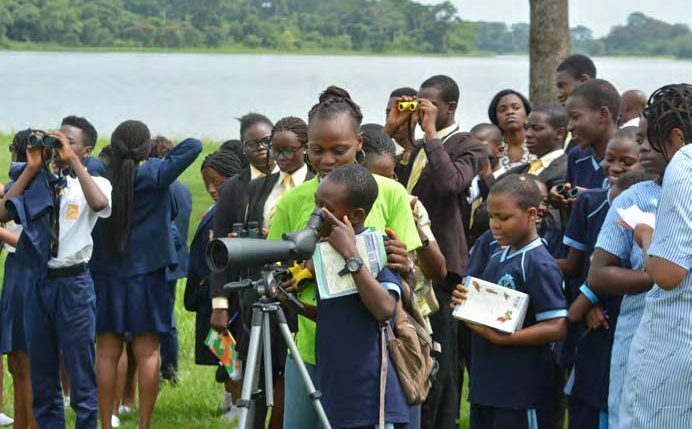 Students, ornithologists, and bird lovers convened in the IITA Tree Heritage Park at Ibadan to celebrate the 2018 World Migratory Bird Day (WMBD) on 18 May–a global awareness-raising campaign highlighting the need for protecting migratory birds and their habitats. This year’s event tagged “IITA Forest Center plantathon: habitat restoration for migratory and resident birds,” combined tree planting, environmental education, and bird watching. “One of the greatest challenges migratory birds face is habitat destruction, especially on their stopover and wintering grounds,” said Adewale Awoyemi, IITA Forest Center Manager. “Habitat restoration is needed to reverse this trend, and in the rainforest zone of Nigeria, this implies tree planting, especially of native trees,” he further explained. During the event, 360 seedlings of native trees were planted by 65 students from six schools that were members of the Forest Center’s School Conservation Clubs: Ansar-Ud-Deen High School, Esther Foundation Girls School, Ibadan International School, IITA International School, and International School, Ibadan; and Olive Branches School, Osogbo. Fifteen staff from IITA also attended the event. All students participated in the tree planting (each school had a plot) and took biometrics data such as name and height of tree species and number of leaves. 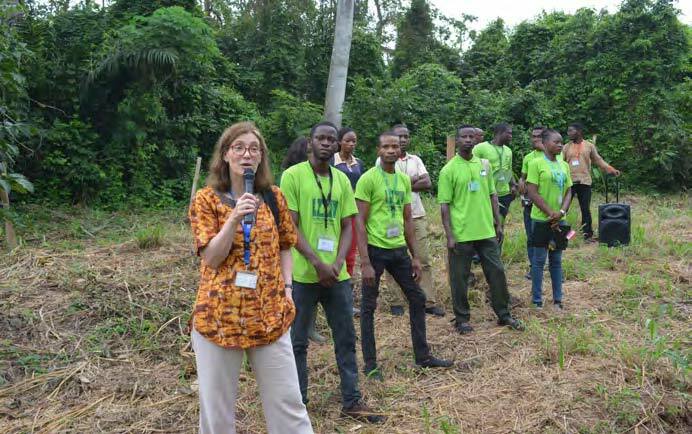 Speaking at the opening ceremony, Hilde Koper-Limbourg, IITA Deputy Director General for Corporate Services, commended Forest Center staff and other participants for their high level of enthusiasm in piloting conservation values among school children. “I believe this will help to develop their passion for nature in the near future,” she added. Awoyemi further energized the students saying, “I believe there are future scientists, ministers of environment, and policy makers, who will champion the cause of biodiversity conservation in Nigeria, among you. So I encourage you to always remember the skills you acquired today and replicate them by establishing mini gardens and nurseries in your homes and schools.” The students also had the opportunity of watching birds along the IITA main reservoir. The IITA-Ibadan campus holds over 270 species of birds including migrants and residents, and is a globally important site for bird conservation.